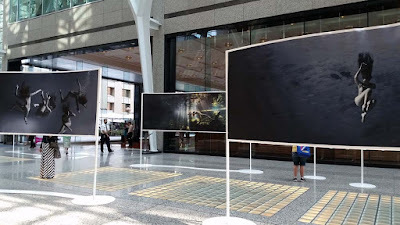 An underwater photo and video exhibition commissioned by the 2015 Pan Am Games arts and cultural festival is displayed in Brookfield Place. The Allen Lambert Galleria will host the visual works from July 13 to August 14. 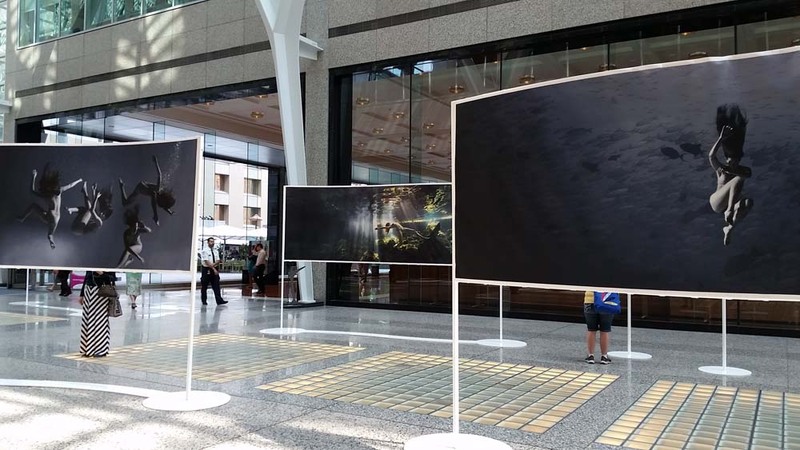 Large scale photographs by Meaghan Ogilvie show a series of underwater based narratives of our relationship with nature during rapid changes to the environment. 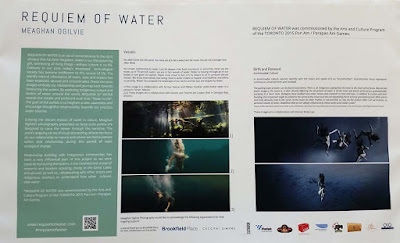 "REQUIEM OF WATER is an act of remembrance to the spirit of water that has been forgotten. 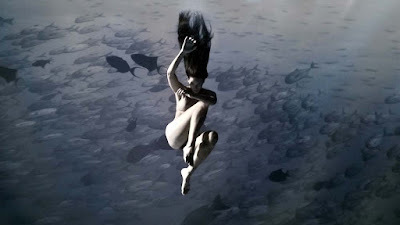 Water is our life-sustaining gift, connecting all living things – without it, there is no life. Contrary to our past, today’s developed technological society has become indifferent to this source of life. The world’s natural inheritance of rivers, seas and oceans has been exploited, abused and contaminated. 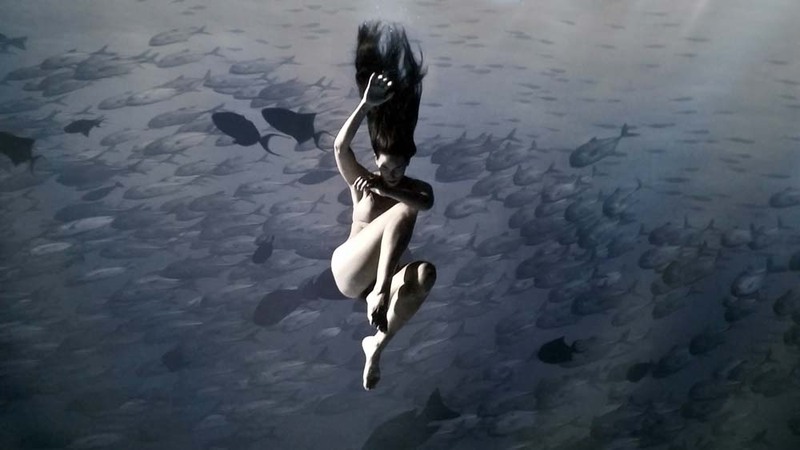 These narrative images embody our relationship and journey back towards honouring the waters. 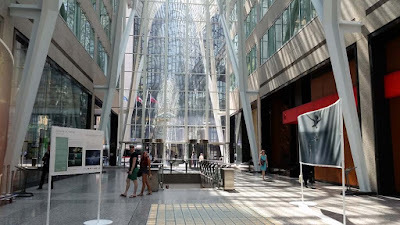 By exploring indigenous culture and bodies of water around the world, REQUIEM OF WATER reveals the simple and profound truth that, “Water is Life”. The goal of the exhibition is to heighten public awareness and encourage thoughtful responsibility towards our precious water sources and the role we all play in caring for them."